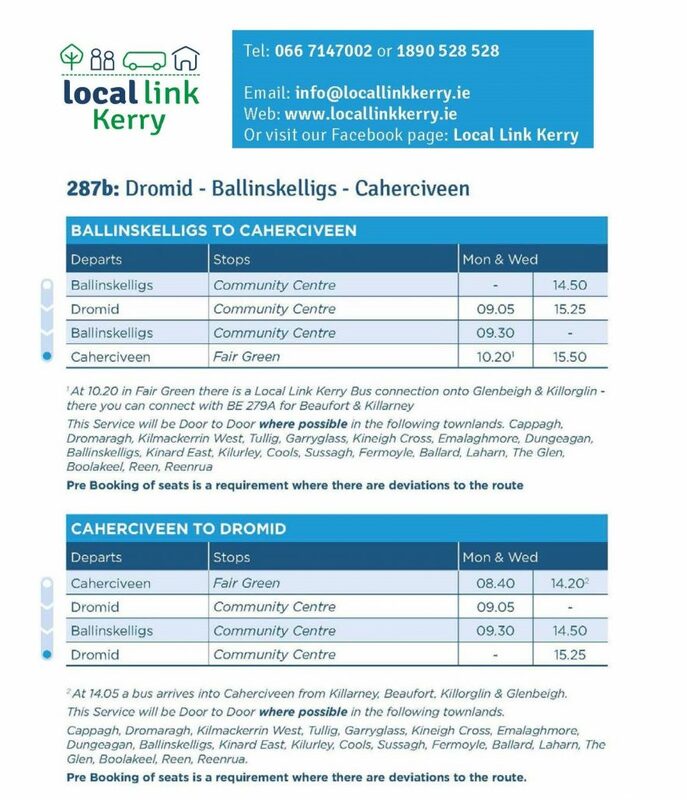 The above Services are door to door where possible in Ballinskelligs – therefore intending Passengers would need to ring us on 066 7147002 in order to be collected. 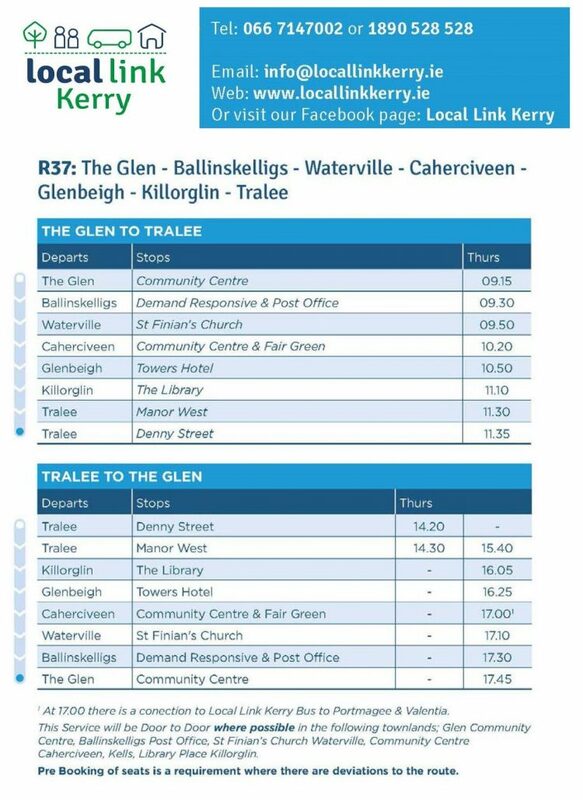 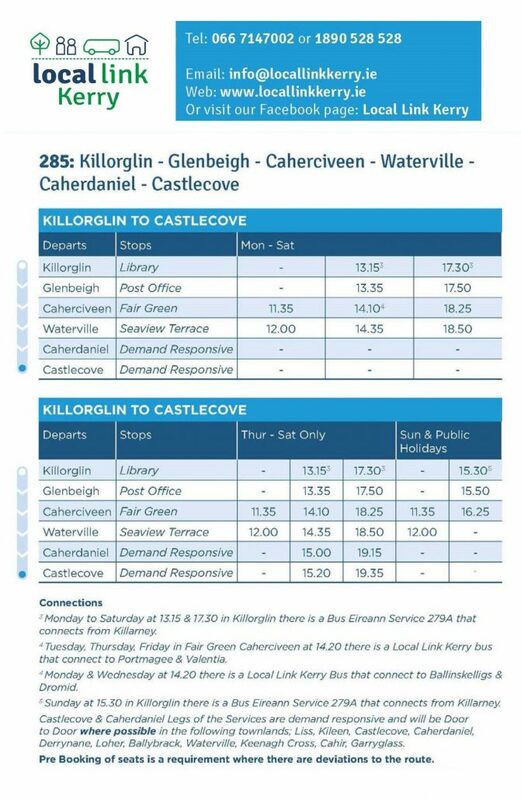 As you can see the Services R287b is designed to bring people / tourists to Ballinskelligs and also local’s who may wish to travel to Caherciveen or further afield. 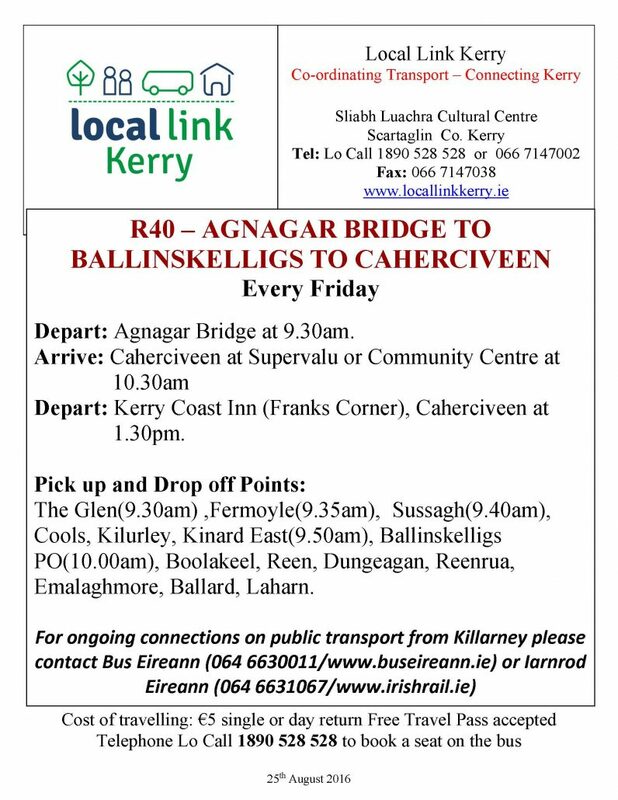 R287b & R40 are provided by McCarthy’s of Caherciveen and R37 is provided by Goggin’s, Ballinskelligs on our behalf. 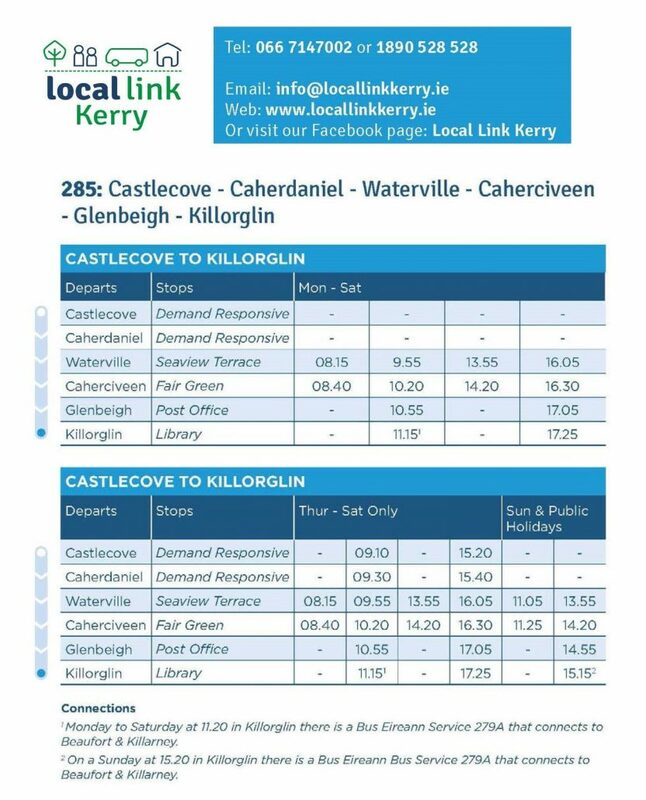 Clicking on any of the timetable images will enlarge them .